The topic of vaccinations and whether they do more harm than good has been a hot public debate recently. Everyone from certified experts citing facts to celebrities have thrown in their two cents. Fallout from this conflict can be felt across the board, even in child custody disputes. 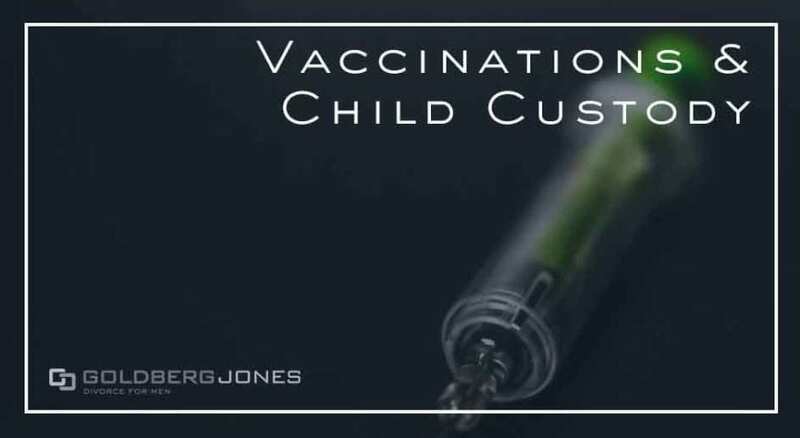 Siding with scientifically based research and medical practices, a Florida family court ruled it is in the best interest of a child to be in the custody of a parent who will vaccinate in accordance with a doctor’s recommendations as opposed to one who will not. In this case, the father wanted the child in question to receive traditional medical care, including vaccinations, while the mother did not. Though the couple was never married, the court ruled on child custody and granted guardianship to the father. Not entirely based on the vaccination disagreement, the decision did significantly hinge on that factor. Credited with largely eradicating diseases like smallpox, polio, mumps, and more diseases that once ravaged the population, vaccines, and their widespread use, are regarded as one of the greatest medical and public health advances in human history. However, in the last decade or so, there has been a movement — chiefly in developed countries where widespread outbreaks of horrific diseases are no longer common occurrences — against vaccinating children. This is based on the idea that chemicals used in these vaccines lead to increased chances of autism. By and large, this claim has been discredited and countless studies have found no link between vaccination and autism. Still, there remains a small but vocal anti-vaccination crusade — celebrities like Jenny McCarthy, Charlie Sheen, and even Donald Trump have spoken out against vaccinating children. As a result, a significant number of parents have chosen not to vaccinate their children. This practice has led to communities experiencing outbreaks of diseases like measles and whooping cough, which were almost unheard of for generations. Given the tremendous amount of research, evidence, and expert testimony, it makes sense that the court sided with the father in this instance. When deciding on child custody, family courts take into account numerous factors and considerations. Wide-ranging, these can vary a great deal from state to state. the mental and physical needs of the child in question; and more. A particular court may not specifically address each line-item one by one, but they do take into account a child’s general well-being, health, and overall welfare. In this case, the court awarded primary child custody to the father. Examining the facts and testimony from medical professionals, they determined there was “substantial, competent evidence” to back this decision. While other factors were in play, much of this was based on the father’s stance on vaccinations. Though the court did not award the mother primary residential child custody, she was awarded significant time-sharing and visitation. More than anything, this decision serves as a reminder that when determining child custody, the best interests of the child reign supreme. In this case, the court ruled that, due to the scientific evidence, the greatest benefit for the child was to remain with the pro-vaccination father. But depending on the circumstances, many factors can come into play in child custody decisions. When it comes to your own child custody case, it will benefit you to keep this fact in mind. A child’s physical well-being — and a big part of this is medical care — is a significant factor in determining which parent receives primary guardianship. Consider how and why you are the ideal parent and plan your strategy around your strengths in this area. If you’ve enlisted the services of an experienced divorce attorney, he or she will likely be able to help steer you in the right direction and demonstrate why you should be awarded child custody.